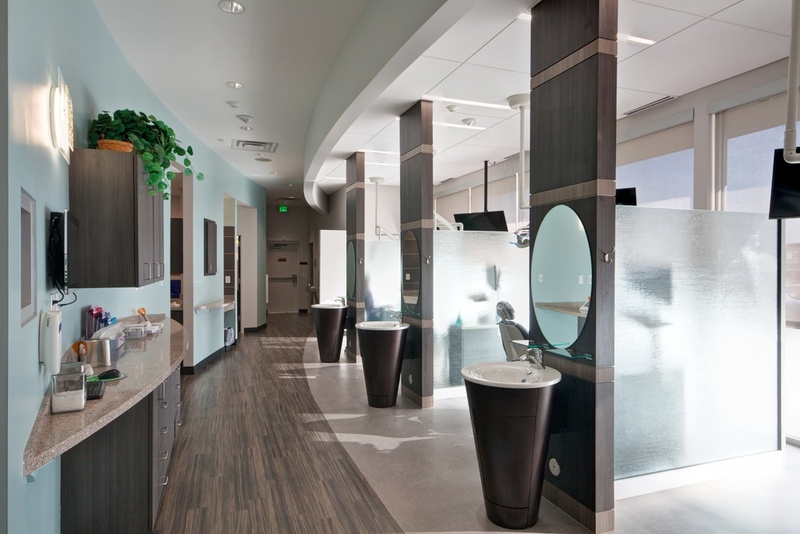 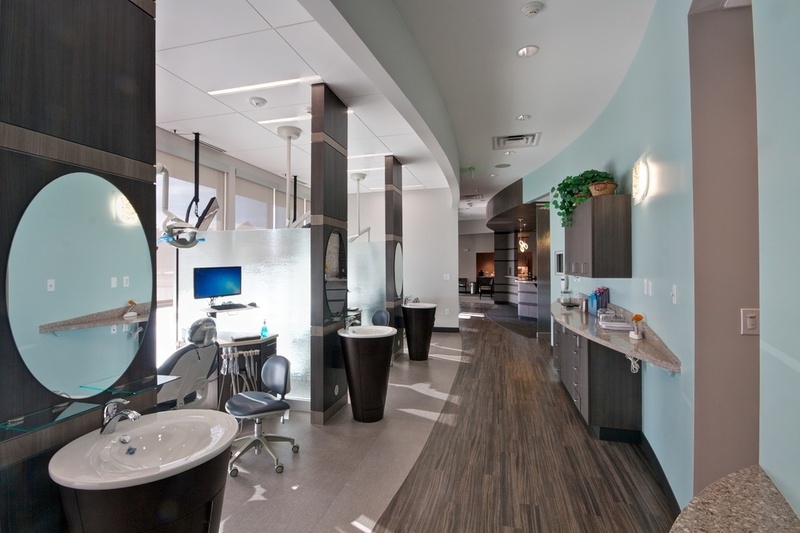 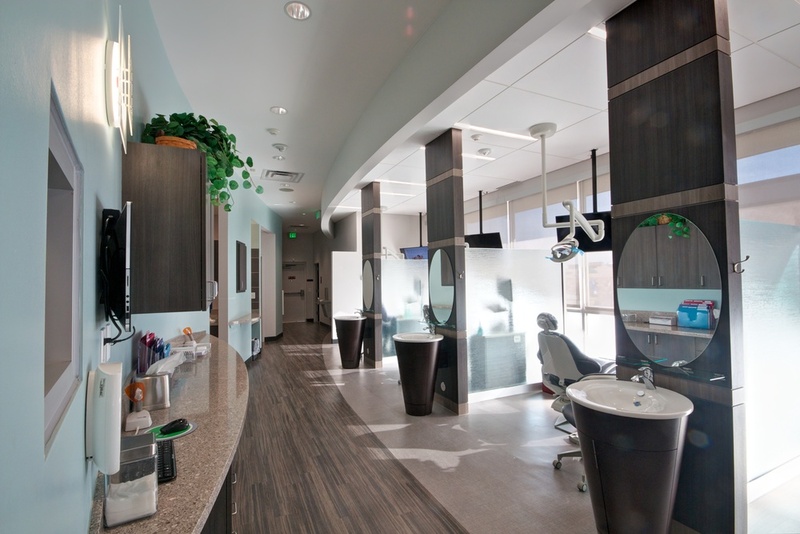 This project converted a former convenience store into a contemporary orthodontics facility with state of the art equipment. 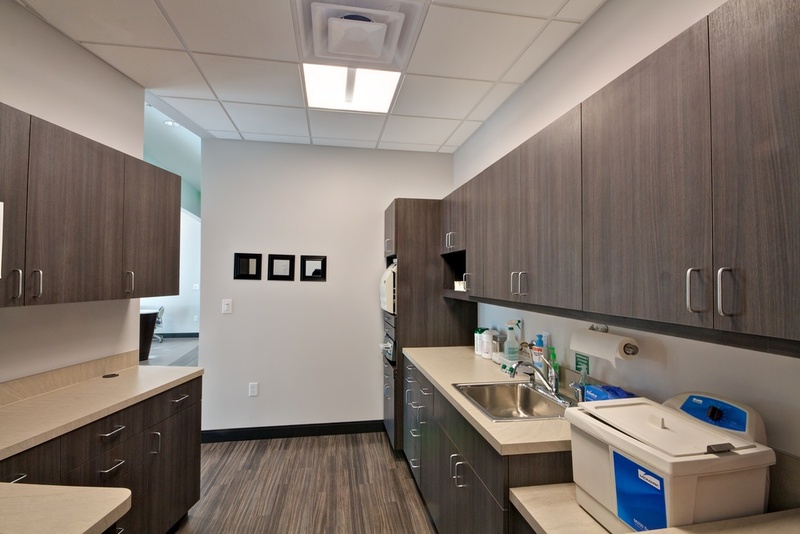 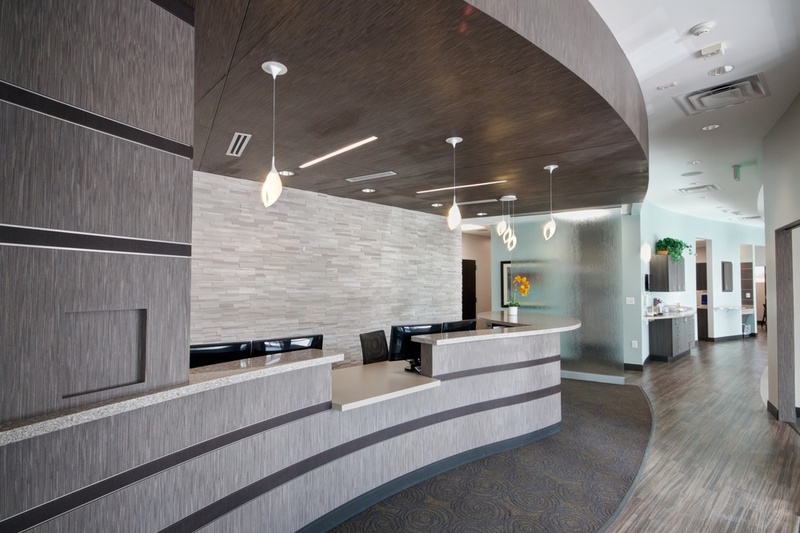 The design uses an open concept to maximize space utilization and create a spacious feeling for patients to enjoy. 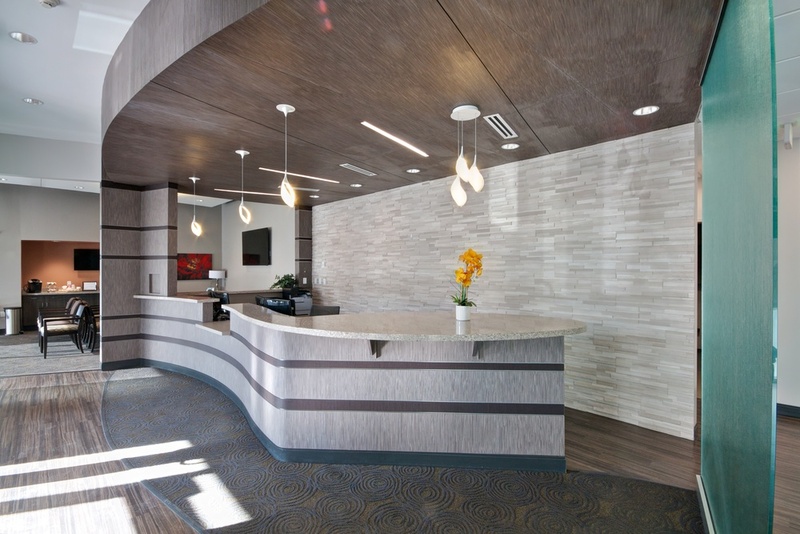 The materials and finishes selected incorporate high tech finishes against “wood” floors balancing the perception of modernity and warmth. 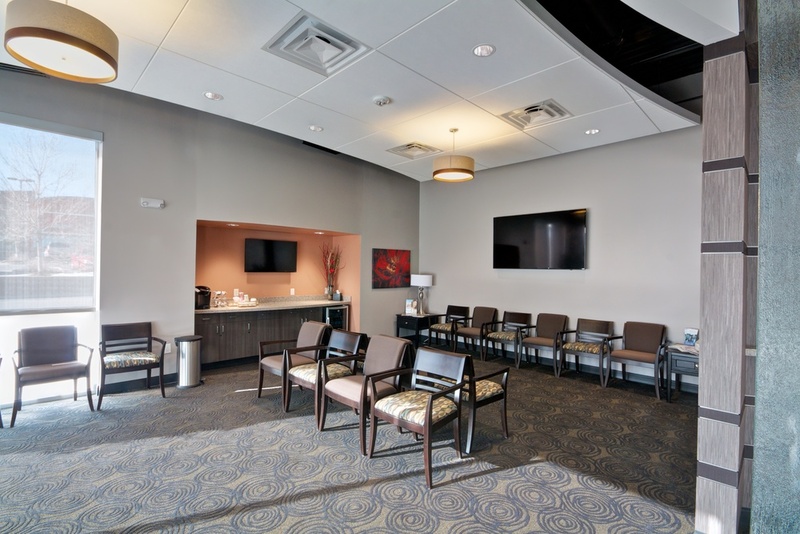 Since Summit Family does numerous events for patient education and staff training seminars, Intergroup designed the waiting area to uniquely suit these needs and be easily transformed into a multiple purpose space.